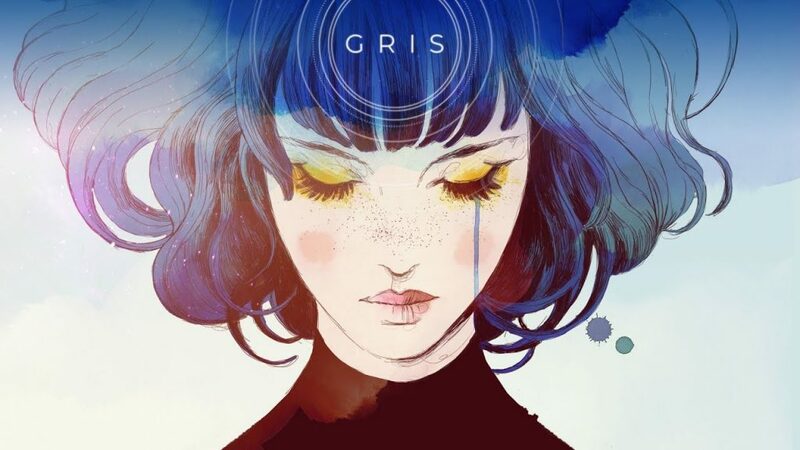 For the month of January 2019 Game Club played and discussed the recently released Gris. 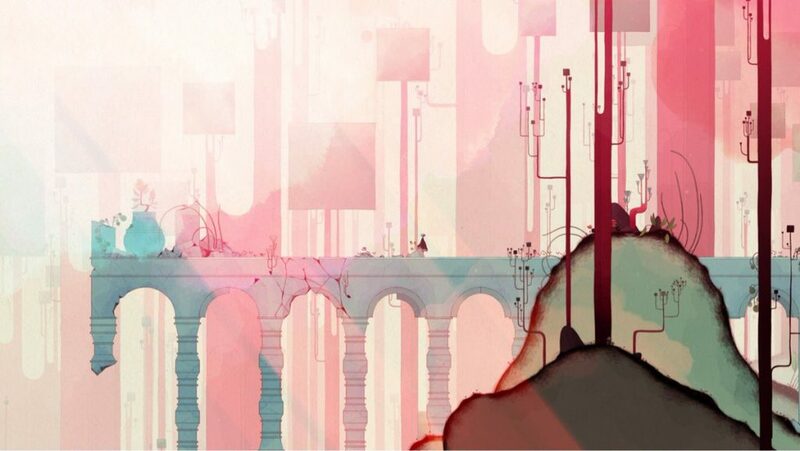 Gris is a beautiful hand drawn game painted in watercolors that give it an other worldly feel but also manages to still feel familiar in this short 2D platformer. 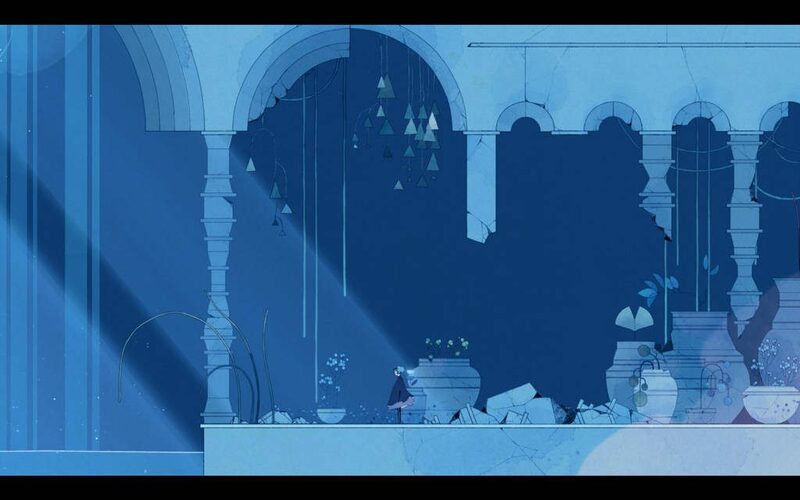 We felt the game would have worked just as well had it been done in pixel art style a-la Dead Cells or Chasm but the use of watercolors really added to the dreamy feel that pervades throughout the game and enhances the beauty of the often desolate landscapes you will traverse on your adventure. The game bears many similarities to Journey including the silhouette of the main character in her flowy triangle shaped dress and that the play time is relatively short and the main character cannot die. We felt there was still enough tension in the puzzle platforming of the game to overcome the fact that you can’t die and keep the player engaged throughout. The game is a metroidvania style adventure, meaning you gain new abilities by progressing through the game that unlock new areas of the world that were previously unreachable. We especially liked how the abilities were tied to the main character’s dress instead of a weapon or just being arbitrary new powers that she gains. The dress has incredible hand drawn animations and each new ability showed it off well and made you feel more connected to it in a way that felt unique to anything else we had experienced in other games. The game is focused on discovery and solving puzzles rather than high tension precision platforming and has very zen-like meditative quality to it. In terms of the gameplay we felt the controls were tight, and the main path connects well with the themes of the game but there were some challenges sprinkled in tied to achievements that made it feel a little cheap and gamey at times which had a tendency to break the player’s immersion in the mood that the developers worked hard to create and remind you that you were still in fact playing a video game. The game has metroidvania like qualities with a hub world that you return to throughout the game but the hub world changes not allowing you to go back to previously explored areas with your new abilities. This is very much in line with the themes of the game but makes it harder to go back and unlock achievements that were previously gated so if you are a completionist then you will need to complete the game and then use the chapter select feature to go back and get those achievements that you missed. The puzzle platforming feels nice and the animations of the player and moving/changing platforms are well timed to make you always feel like you are landing them perfectly. The accompanying audio also really adds to the experience and feels both dynamic and perfectly tied to the player’s actions and aesthetic of the world as you progress throughout the game. We felt that it feels like you are building the soundtrack of the game with your in-game actions and in some ways you are as the one ability that is not tied to the main character’s dress was regaining her ability to sing. That really changed the gameplay for us as it lets you change the world and restore color and life through song where there was none before and opens up new areas to explore. This was another mechanic that felt unique and in line with the themes of the game our only wish was that there was more time to use it in the game and ways to make use of it in previously explored areas. There is a lot that can be said about the themes and ideas being portrayed by the game but it is mostly better left for the player to experience and decide on their own what it means. Feel free to stop reading now and come back later after you have experienced it yourself or read on for our views on it. To our group we decided that it is about the stages of grief that the character is going through after losing her mother, which is borne out in cutscenes and the fact that the achievements are named after the stages of grief. Visually this is represented by the fact that the game starts out in black and white and the player slowly restores color to the world as you progress, colors that link to emotions tied with grief, mourning and depression. Personally having lost a parental figure in the past year I felt the developers did an excellent job of capturing the emotional journey I had been on, the anger, denial, futility, and eventual acceptance and ability to grown and be stronger and move forward. I think you could play the game without that exact experience and tie it to other aspects of the human condition though and still get something meaningful out of it. It really did a great job of showing what depression feels like in game form and then overcoming it and finding new ways to enjoy life again. Join us next month as we play and discuss Not Tonight.